Cool chart from JP Morgan. It’s pretty self explanatory. 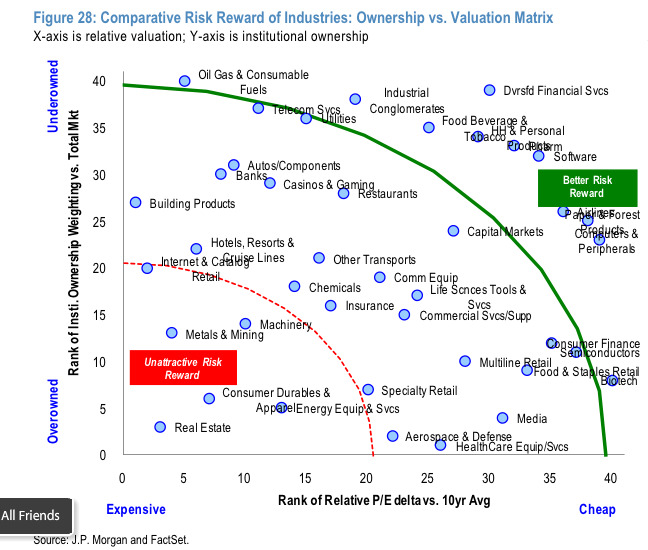 The industries up and to the right are under-owned and cheap. Down and to the left are expensive and over-owned.